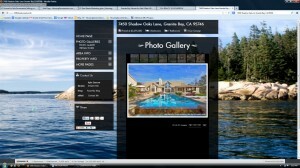 Creating an internet site just for your property is one of the newest marketing tools to sell your house. Having a whole web site to talk and show your house only keeps the potential buyers focused on one thing… your house’s virtues. The big idea of your house generally sells the houses. But taking a whole web site to explain all the features add them all up for a higher selling price. It is like a tipping point, you never know what small benefit of your house will tip the potential buyer into making an offer. CLA Realty does what it takes to promote and sell your house. Having an internet address URL is just one more tool in our real estate marketing plan to sell your house.